Firstly an apology for the lack of an Irish football preview this weekend past on Double Coverage. However it was still a great weekend of football in the Shamrock Bowl Conference and IAFL-1 and another division champion was crowned, without a match even being played in that division. The Rebels put pressure on the Carrickfergus Knights in the fight for second place in the North by extending their lead with a win over the injury ravaged Craigavon Cowboys. 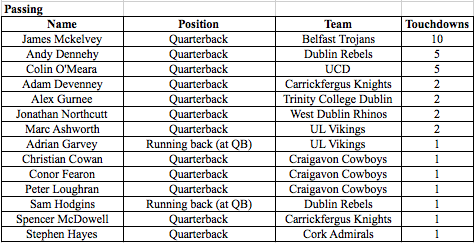 With their first string quarterback Peter Loughran playing at defensive end, due to the broken fingers he suffered at the Belfast Trojans making him unable to throw, and Christian Cowan missing Craigavon were forced to play their third rookie QB of the season. 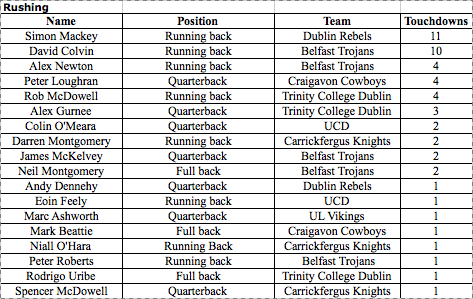 But the Cowboys did well against a Dublin side that aired the ball out much more than they have done this season. 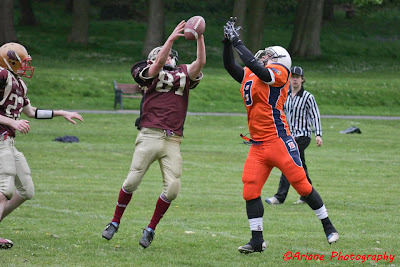 Simon Mackey got another one along the ground, his 11th of the season, but then three passing touchdowns were to follow. Wide receiver Nick Fratini got two scores whilst Chris Purdy caught one with experienced quarterback Andy Dennehy throwing for two on the day. Running back Sam Hodgins threw the final touchdown. The Cowboys have limped on through tough injuries to experienced players and with a squad mainly filled with rookies but they still managed to grab a touchdown with third rookie quarterback of the year, Conor Fearon passing to Ryan Brolly for the receivers third touchdown of the season. On a side note Double Coverage wishes the best of luck to Cowboys' starting running back John Murray who underwent surgery following the game for a cluster of blood clots after an impact tackle to the thigh. Get well soon John. A disappointing forfeited game after last week's win over Trinity gave UCD a real chance of winning the division and making the final few weeks of the SBC South an exciting one. 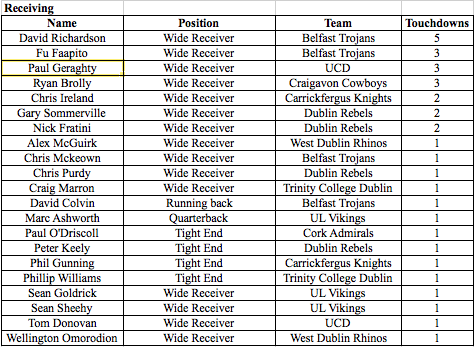 However with too few players to field a team, UCD were forced to forfeit, handing rivals Trinity the SBC South. 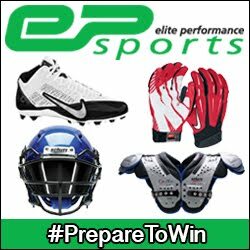 At this time of the year, some of the university teams struggle with player numbers due to exams being over and players heading home. The forfeit will bitterly disappoint UCD having now lost the chance at the SBC South to rivals Trinity after beating them 26-0 last time out and taking not only momentum but the head to head tie breaker. The new boy Minotaurs suffered a crushing defeat at the hands of the Reapers in the biggest scoring difference in the IAFL-1 so far this season. 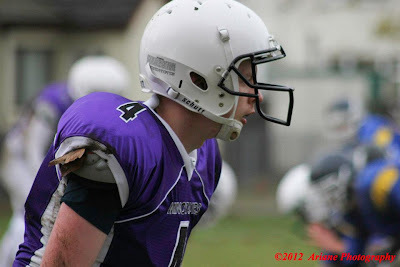 Shane Walsh reeled in a pass from Conor Brennan for the home side but then the Reapers strong rushing attack took over. Leading IAFL-1 rushing touchdown scorer Matthew Kavanagh scored another two scores whilst Sean Leamy also grabbed two along the ground. Quarterback Ciaran Heneghan grabbed the final touchdown of the day, giving the Reapers a big victory and the lead in the IAFL-1. 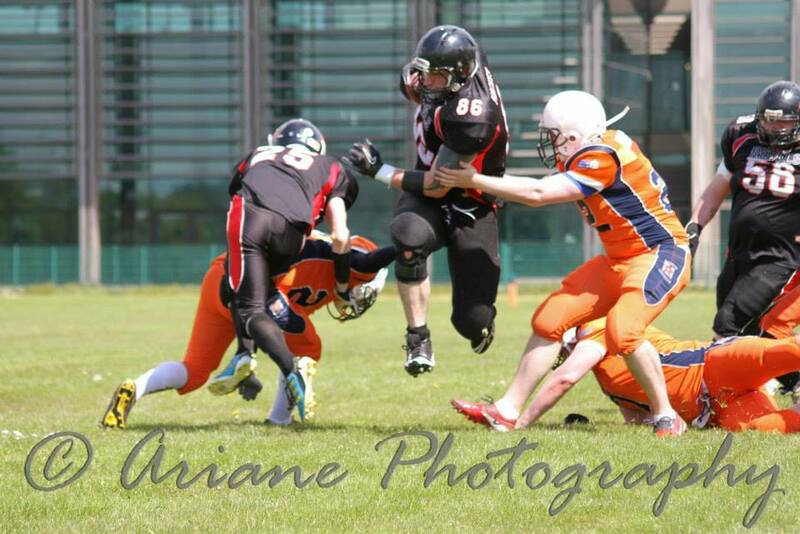 Strong defensive play was the order for the day in Waterford as the previously undefeated Wolves suffered a second half setback that cost them the top of the IAFL-1. With a 0-0 scoreline at half time the Wolves managed to grab a safety before the experienced Dragons upped their running game to grab a couple of scores. In the third quarter running back Dave Edwards took the ball in for six before Owen Dunne caught the 2-pt conversion. Then fullback Jimmy English ran the ball in for another score to make the final score 14-2 Dragons, sending them over their opponents in the division on the head to head record and sending them second in the IAFL-1. 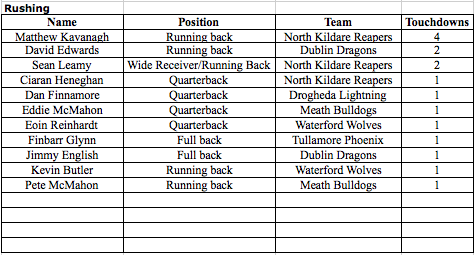 Further news from the IAFL-1 as John Judge has stepped down as Head Coach of the Tullamore Phoenix after five years in charge. He has stated that he will be taking the rest of the season off.